Rassemblement à Osgiliath is a challenging scenario that originally ran as a special event at Gen Con Indy 2011. 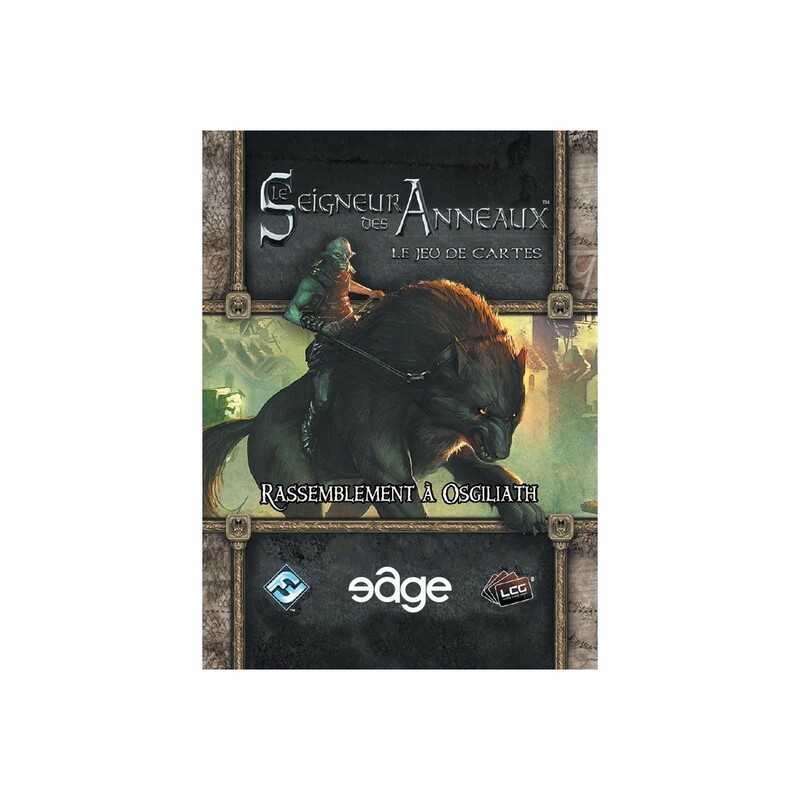 Rassemblement à Osgiliath is a challenging scenario that originally ran as a special event at Gen Con Indy 2011 and which we have now made available via Print on Demand. The 45 cards of Rassemblement à Osgiliath immerse you in the thrills and perils of Middle-earth as your heroes undertake a four-part quest, travel through vital locations on both sides of the Anduin, and confront hordes of new enemies. Will you carry your message to Minas Tirith? Can you survive Rassemblement à Osgiliath?